If you have suffered physically or mentally as a result of an injury, you really should consult with an experienced personal injury lawyer regarding monetary damages. Rapid City attorneys Gregory Yates and Michael Shubeck, a South Dakota personal injury law firm, have more than four decades of experience between them, fighting personal injury cases on the behalf of victims and their families. 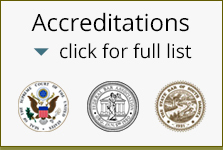 Members in good standing with the South Dakota State Bar Association, Mr. Yates and Mr Schubeck have won numerous awards for clients involved in personal injury lawsuits. They can determine whether or not your case has the qualifications for pain and suffering damages. Multiplier method – the plaintiff’s actual damages are multiplied by a number from 1-5 ( related to the type of and severity of the injury). Per Diem approach – a set amount is assigned to every day subsequent to the accident up until the plaintiff has reached his or her maximum level of recovery. If you’re injuries are serious and could possibly result in a long term or permanent disability, it’s crucial that you engage the services of an experienced litigator in the field of personal injury lawsuits. Both Greg Yates and Michael Shubeck have helped negotiate some of the best personal injury settlements in South Dakota, recovering hundreds of millions of dollars for injured clients and have been involved in a number high profile cases in that state. If you have concerns about getting fairly compensated for any pain and suffering that has resulted from an injury, consider working with a personal injury attorney. Pain and suffering claims are not always that straightforward , so you will need an attorney who has lots of experience when it comes to gathering evidence and documentation and getting the best results possible. Call the offices of Rapid City attorneys Greg Yates and Michael Shubeck to schedule a free consultation.